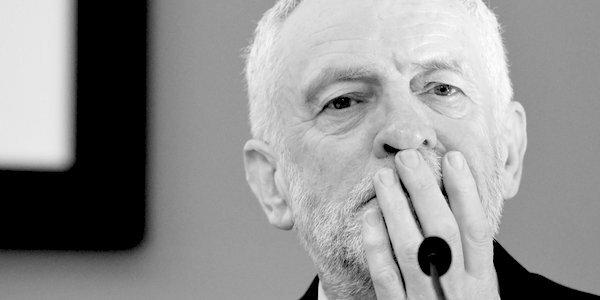 JEREMY Corbyn’s leadership of the Labour Party cannot be said to have been scandal-free. In fact the reverse is true. There are so many scandals that the mass media has to determine collectively which one to work on at any given time. There are usually three on the go, with varying levels of intensity, all of which are associated with Corbyn’s external affiliations. There’s his Russian patriotism, where Russia and the USSR can do no wrong, even when they are covertly murdering people on British soil using weapons of mass destruction, but are so inept that their agents are quickly discovered. Corbyn has minimised his criticism of Russia to a single sentence made through gritted teeth at the last Labour Party conference. There’s the sympathy for international terrorist murderers, such that Corbyn and other senior party members will gladly and openly associate with groups who have committed numerous atrocities against innocent civilians, or with groups who would reduce our ability to protect our people against these mass killers. And then there’s the anti-Semitism. Labour try to excuse themselves by stating that it is only a tiny fraction of their members who are anti-Semites, but then they object to an even smaller fraction of the American armed forces who may have committed crimes against civilian populations. People also ignore the fact that the anti-Semites who have been caught are those confident enough in their prejudices to broadcast them in public and online arenas, and were also confident that none of the recipients of their prejudice would report them. Had there not been covert recording of Chris Williamson’s speech to a hall full of Momentum supporters, who applauded his words, we would not have known of the behaviour that caused him to be suspended. There have to be considerably more anti-Semites in the Labour Party who are safe because they broadcast their bigotry amongst those who agree with every word, certainly at least one hall-full of Momentum supporters, against whom no action has been taken. Every time Labour Party members are caught out backing Russia, supporting terrorists, attacking Jews or even calling Mrs May a ‘stupid woman’ from a sedentary position on the Opposition front bench, there is always a convoluted excuse made to justify or exonerate the action. When these are made, I am always reminded of episode 5 of the second season of the Blackadder comedy series set in Elizabethan times, entitled ‘Beer’. My friend…is…a missionary…and…on his last visit abroad…brought back with him…the chief of a famous tribe… His name is Great Boo… He’s been suffering from sleeping sickness…and he has obviously just woken…because, as you heard, ‘Great Boo’s up’. This is about as plausible and fantastic as every excuse made by Labour over its Russophilia, pro-terrorism, anti-Semitism. In the case of Jeremy Corbyn’s Commons insult, no professional lip-reader agreed with his explanation. One of the emails shows the General Secretary’s Office ending the practice started by former staffers of asking the Leaders’ [sic] office for their advice in order to help with clearing the backlog of cases. This practice lasted for a few weeks while there was no General Secretary and was ended by Jennie Formby. In every organisation, when a person unexpectedly vacates a senior post there is always a deputy or assistant who can step in to keep things going smoothly. This is also true the post of Leader of the Labour Party. When Hugh Gaitskell died from a curious illness, George Brown was able to step in as a temporary leader. When John Smith died of a heart attack, deputy leader Margaret Beckett took over. There was no organisational vacuum while the party had a leadership election. Harriet Harman bracketed Ed Miliband’s leadership following resignations. But we are told there was no deputy general secretary able to take on the job, nor even anyone else senior enough in the Labour’s organisational hierarchy to act in that role. Labour’s leadership has no love for the United States of America, but the USA is way ahead of Labour when it comes to contingency should its politicians or officials leave office. We already know that Labour’s rules are inadequately drafted. The 2016 leadership election required not one, but two High Court cases to clarify them. And now Labour admit that their organisation is not up to the job of administering a political party in the 21st century. Even medieval monarchies were better able to manage a succession than Labour was over the post of general secretary. Labour are either incompetent or dishonest, or both. Unable to manage their structural anti-Semitism, they cannot even manage managing, it would seem. The Conservative government might be in utter disarray, but they seem amateurs in the field when their opponents have to channel the fertile imagination of a fictitious Elizabethan character every time they are in a jam. Cunning planners they are not.